It is obvious that you’d better find more ClipNabber for Mac alternative now since there are some difference between Mac and Windows systems. And some downloader is not with the Mac system and ClipNabber apparently doesn’t go with Mac, either. You definitely need ClipNabber for Mac alternative to download video. Literally speaking, there are hundreds of websites and applications that enables you to download videos online, among which ClipNabber is the website fairly simple and easy to use for downloading videos from the common video sites. You may be definitely aware of Clipnabber when you are going to download a video from YouTube, Dailymotion, Vimeo, MegaVideo, and lots of other video sharing websites. However, as a Mac user, you should know that it’s only Windows based and there is no plan to develop the Mac ClipNabber yet. Luckily, there are often equivalent ClipNabber for Mac alternative to help you out so that you can freely download your favourite videos. Download video with best ClipNabber for Mac alternative—Leawo Video Downloader. Leawo Video Downloader for Mac is a leading professional video downloader application for Mac users, which provides one-click solution for you to download your favorite videos from YouTube, Facebook and a variety of other online video sharing sites. It could be one of the best ClipNabber for Mac alternative as well as a video manager since it could download video on Mac, save videos in various formats. With Leawo Video Downloader for Mac, you can watch online videos offline anywhere anytime as you like. The simple steps and working quickness will attract you as well. 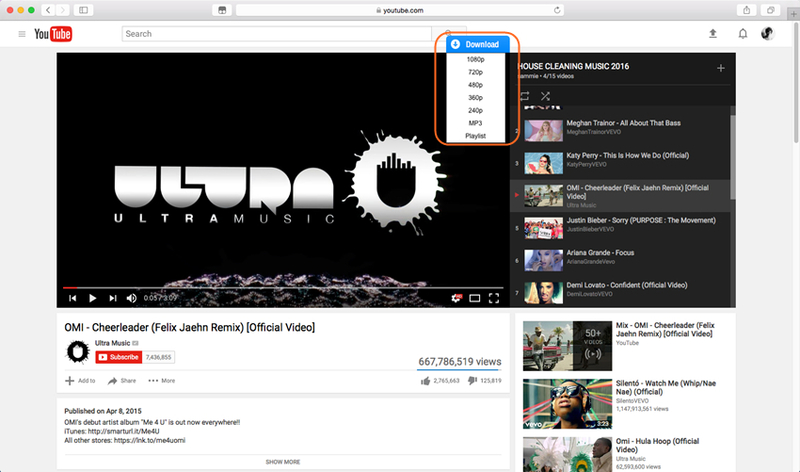 Take YouTube downloading for example, follow the guide here. STEP 1: Locate the YouTube video you like. You can first paste video URL in the address box. Then the video will be detected directly when you watching it. STEP2: Download the Videos you prefer. Click “Download” button to start downloading the preferred video. Different resolution for the video will be offered and you are able to choose the one you need. The video will be immediately downloaded then. STEP3: Manage the Videos in Downloaded Panel. When the videos are downloaded, you can find them and arrange them by name, date, size, or length under the Downloaded Tab. You are capable of downloading videos with this ClipNabber for Mac alternative since it is so easy to operate. And there is free trial version of Leawo Video Downloader so that you can download videos free and enjoy your videos in any devices anytime. Besides, except for Leawo Video Downloader, there is also Keepvid as the useful ClipNabber for Mac alternative. 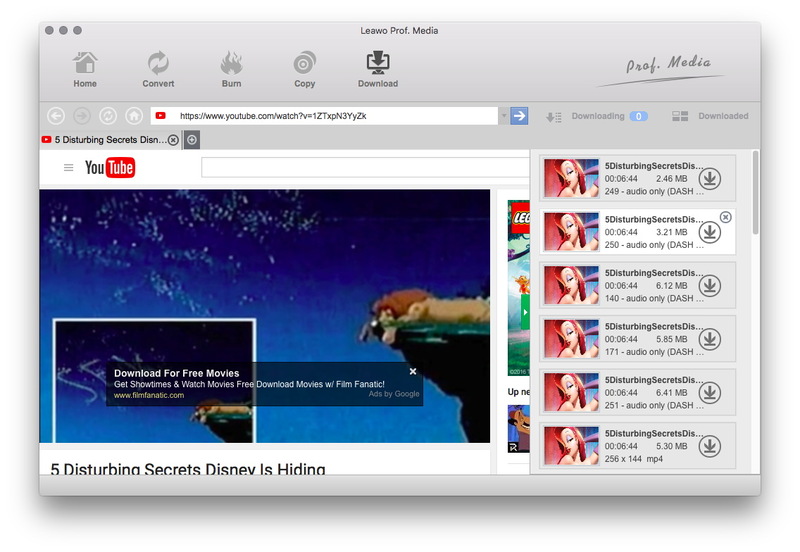 KeepVid Pro for Mac is a video downloader and manager that particularly runs in Mac OS. It is designed with features like in-browser download just like ClipNabber. 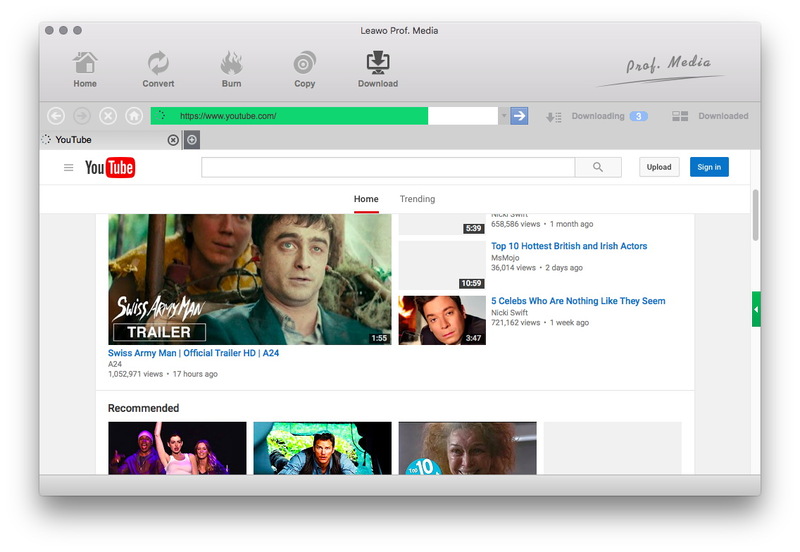 Moreover, take YouTube for instance, KeepVid Pro for Mac works in simple steps. STEP 1: Download online video in the browser with one click. You can go to YouTube website to search the video you like best and just play it as usual. Then, a floating “Download” button will emerge in the top right corner. Click it to choose the proper resolution you need to start video downloading directly. STEP 2: Manage Downloading and downloaded Process. Click the “Downloading” tab to view all downloading status where you have built the video downloading tasks. Pause or cancel the downloading will also be available here. When the video is downloaded, you can check it in the downloaded tab. With a few minutes, you have got your beloved videos with this ClipNabber for Mac alternative. And you can feel free to play it on your PC or even convert them to the formats you need to play on other devices. To sum up, different kinds of ClipNabber for Mac alternative are available here so that you can enjoy yourself to download video from other popular video sharing sites. With ClipNabber for Mac alternative, you can freely download videos from YouTube on Mac or from other popular online video sharing websites like Vimeo, Dailymotion, etc. Generally speaking, Leawo Video Downloader for Mac is a professional downloader application that can help you download any videos on your own PC and it will be safe and privacy protected. While the online downloading alternative may leak your privacy to some extent. And the application of Leawo Video Downloader can keep your videos and manage them as you like. So if you would like to get more enjoyment in downloading, it will be a better choice. Anyway, download video with ClipNabber for Mac alternative will be as simple as a piece of cake. Just for fun with the alternative here.